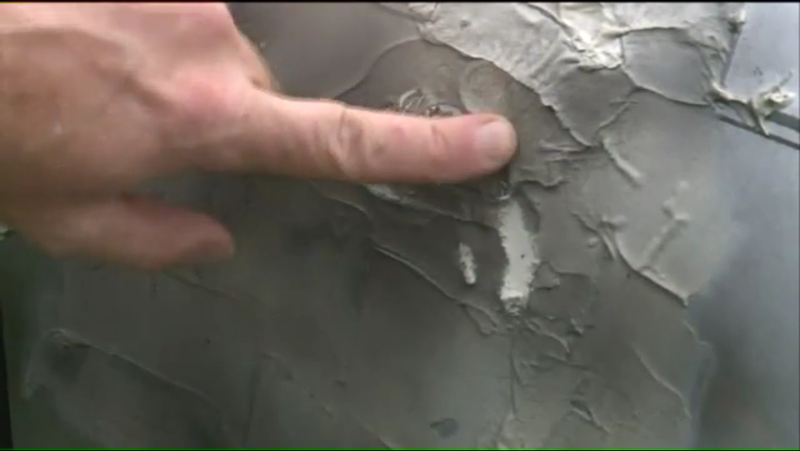 A scam artist left holes and sloppy gray putty on the side of St. Louis woman's car after promising to repair dents. 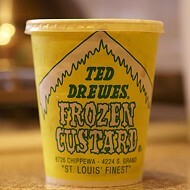 Add another victim to the south St. Louis dent scam. A woman filling up her car at a Shell station on Hampton Avenue claims a man promising a cheap repair banged up her Chevy with a hammer and screwdriver, slathered it with gray putty and then charged her $95 for “fixing” the damage. Marianne Power (right) tells Fox 2 reporter Erika Tallan about her run in with a dent repair con man. If Power’s story sounds familiar, it should. Her account of the brazen ripoff mirrors encounters others have reported to the Riverfront Times in recent months. In almost every case, a man approaches women in parking lots and claims he works for an auto body repair shop nearby. He offers to fix dents at a discount price, usually $90-$95, and quickly sets to work, sometimes before the victims can even tell him no. 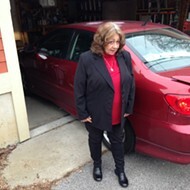 Mary Samuelson's car was damaged by a fake auto body repairman who claimed he could fix dents. Power told Fox 2 she immediately contacted police, but they refused to take a report. 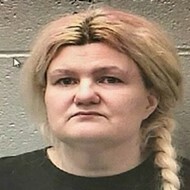 Police told the station they didn’t pursue the case because Power had agreed to have the work done and changed her mind when she saw the results. Update 6:52 p.m.: Marianne Power tells the RFT she never agreed to let the man work on her car. She thought he was going to offer her an estimate, but he suddenly started pounding holes in her vehicle, she says. "The only reason I paid him was because I was afraid of what he would do if I didn't," she says, noting she had her young son in the car. Power claims police interpreted the payment as proof of permission and dismissed her, comparing her complaint to someone ordering a steak at a restaurant and then getting upset because they didn't like the taste. She says it's more like being dragged into a restaurant and forced to pay for a crappy chicken dinner you never ordered. She described the man as a slight Hispanic male in his 20s, standing about 5 foot 8 with straight hair. He was driving an older model, dark red minivan with a thin young woman who had bobbed bleach-blond hair and lesions on her face. A couple of small children were also in the car, Power says. 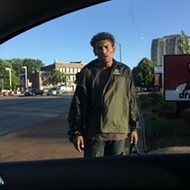 The man is apparently different from one identified by previous victims of dent scams in south city. 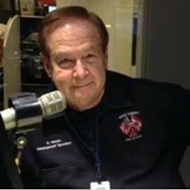 Is This St. Louis' Car Dent Con Artist?